Especially designed to be used in top loading machines, ariel matic offers brilliant stain removal for full loads. Not only that, but it provides deep down cleaning and long lasting freshness for any load. Amazon is selling Ariel Matic Top Load Detergent Washing Powder – 2 kg at Rs 225 only if you make payment with Amazon Pay Balance. 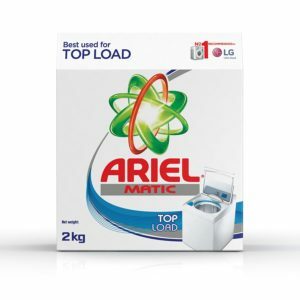 How to buy Ariel Matic Top Load Detergent Washing Powder – 2 kg at Rs 225?